Run Jen Run: I signed up for the Miami Marathon! I did it! I signed up for my 3rd marathon… the Miami Marathon! I swore the Houston Marathon would be my last full marathon. Chicago’s goal was to complete the distance. I was running Houston for time and unfortunately I fell short of my 3:30 goal—WAY short—so I signed up for another marathon for a chance to redeem myself. Now I know January is a LONG ways away but it’s nice to have Miami on the calendar to keep me motivated. Training will begin in October and I plan to follow a similar plan as Houston. I was feeling great through 19 miles and on pace for to run a 3:27 until my injury so I am confident that was the right plan for me. Honestly, why not?! 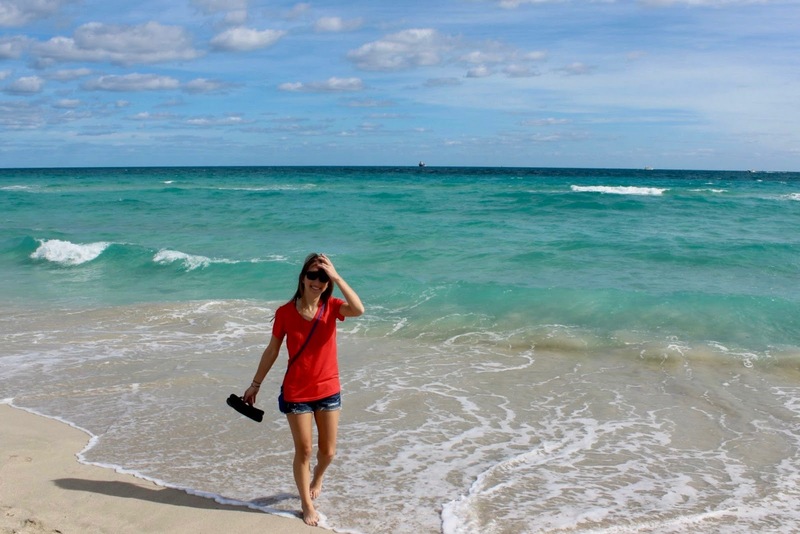 Who wouldn’t want to go to Miami in January? Since I got back from Houston in January, I’ve been trying to find the perfect fall marathon. I’d been seriously looking at the Philadelphia Marathon and it took me about a month and a half to convince myself to sign up when registration opens on April 1st. Then I found out my cousin moved his wedding from April 2017 to THAT WEEKEND! I started to compile a list of potential races. I actually considered entering the lottery for Chicago but then I stumbled upon the Miami Marathon in January and quickly texted my friend Kristen. She lives in Miami and I haven’t been down there to visit since 2009. Her first response was, “YESS!! Maybe I’ll do the half!.” (I always say it—Running is contagious, my friends.) I slept on it for two nights dreaming of palm trees. Then the next day Miami by Will Smith came on SiriusXM Fly and I signed up. The weather could be hot and humid. (The average temperature at the start line from 2003-2007 was 63 degrees.) It also has the potential to be in the 40s like last year. 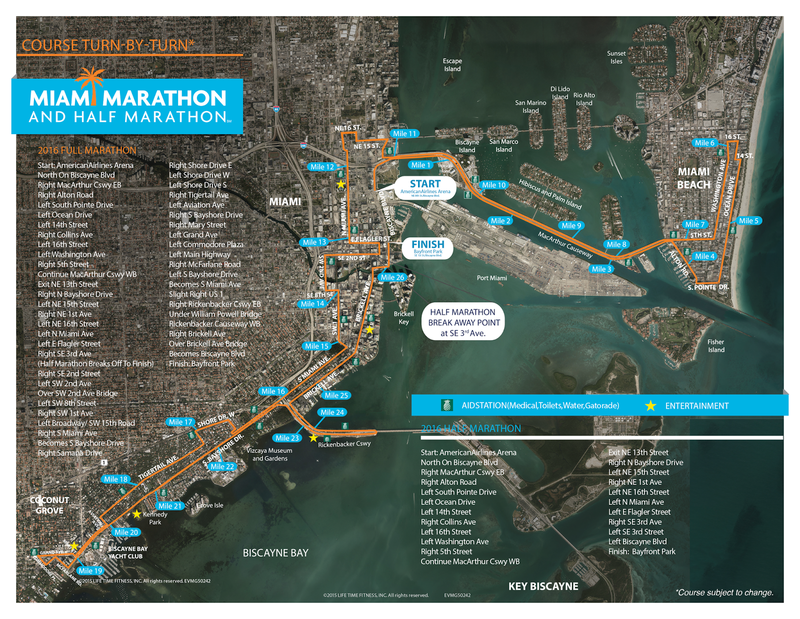 The Miami Marathon course is fairly flat but it does feature some inclines as you travel over several bridges. You also run a lot of the course along the water with what sounds like some incredible views. There are 25,000 runners running both the full and half distances. I came to realize I would never find the “perfect” race. I just have to focus on training hard, trust the process and stop worrying about the things I cannot control.